While it’s not as good and not as often, people still require a regular shot of debauchery in tough economic times. 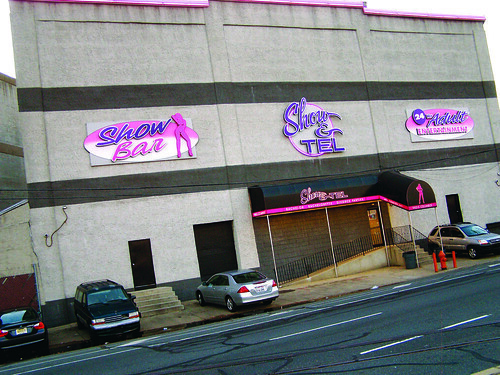 In today’s faltering economy, even recession-proof industries like strip clubs, bars and casinos are feeling the pinch. Patrons become increasingly stingy with their disposable incomes and opt to stay home on the weekends in order to pay rent. That doesn’t mean Philadelphians will soon adopt a Puritan temperance – wearing petticoats and spending their Saturday nights singing hymns. There will always be a market for dubious activities. However, people aren’t throwing their money around the way they did in more prosperous times. It’s a phenomenon of Vice Lite. When essential commodities like food and gas skyrocket in price, the party fund becomes depleted. People still want to drink, but many are trading in their microbrews for Natural Ice. “I haven’t cut back on the amount I drink, but I buy less expensive alcohol,” junior business major Sarah Kim said. Students may not feel the full effects of the current credit quandary and recession because most aren’t paying their own bills yet. This makes for a discrepancy between establishments frequented by college kids and those that receive most of their business from working professionals. 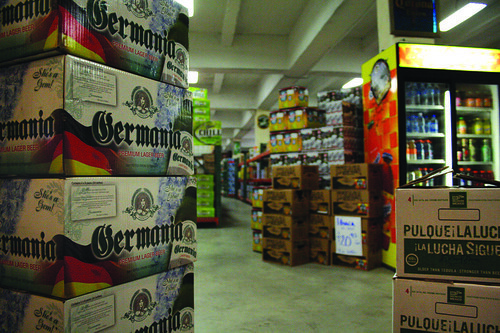 Students aren’t giving up their drinking habits just yet, but they are trading in pricey microbrews for Natural Light and Budweiser (Steven Coleman/TTN). Pete Borgman, a bartender at Maxi’s, said he hasn’t seen a significant change in the amount of money people spend during the past three years he has worked there. “We’ve always sold mostly Miller High Life, anyway,” Borgman said when asked if customers are downgrading the quality of alcohol. Those who have to worry about their cable and electric bills are curbing their spending to some extent but still need a reprieve from the daily grind. People are cutting back on every other slice of consumption while still clinging to their old habits as much as possible. “I work at Starbucks, and I’ve definitely noticed less people coming in for lattes,” Kim said. Mike Powers, 30, a bartender on Penn’s campus, pointed out that while the bar side was doing fine, the restaurant side was unusually slow. Skylar cited several reasons why strip clubs will always have customers. Guys still get married and have bachelor parties, and there will always be a breed of men who are simply addicted to exotic dancing and are happy to blow their money on the salacious pastime. Even as their bank accounts dwindle, people are reluctant to give up their vices. Although carousing may cut into their Whole Foods Market budget, they need it now more than ever. Tough economic times call for the occasional diversion. Musician Brandon Jones, 23, said while alcohol is expensive, he still springs for two or three drinks every day. “But now I go back and forth between going out and buying my own stuff,” he said. Buddy Slemming, the manager of Daydreams, said it best. Maureen Coulter can be reached at maureen.coulter@temple.edu. When drinking, columnist Sarah Sanders would rather her fellow partygoers keep their hands, beverages and bodily fluids to themselves. “Liquor before beer, never fear,” they say. But is the rumor fact or fiction?